It hasn’t been a full week yet, but I’ve had a great time with my department! 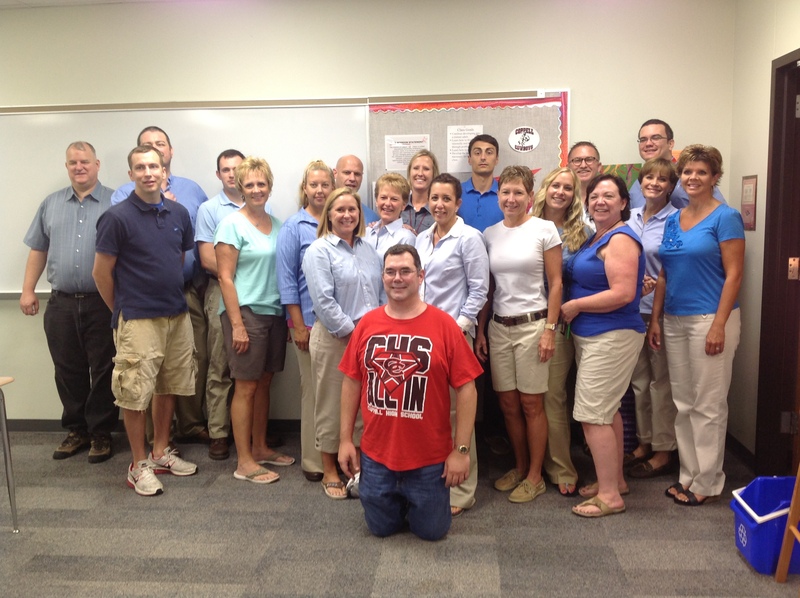 This morning, at our morning meeting, most of them showed up wearing blue shirts and khaki pants!! Of course, this was the ONE day I didn’t wear my signature colors. How embarrassing. But what an unbelievable surprise!! Thank you guys so much!! Here’s to a great year!! Posted on August 22, 2013, in Flipped Classroom. Bookmark the permalink. Leave a comment.